Here are some tips to make the most of registration forms. 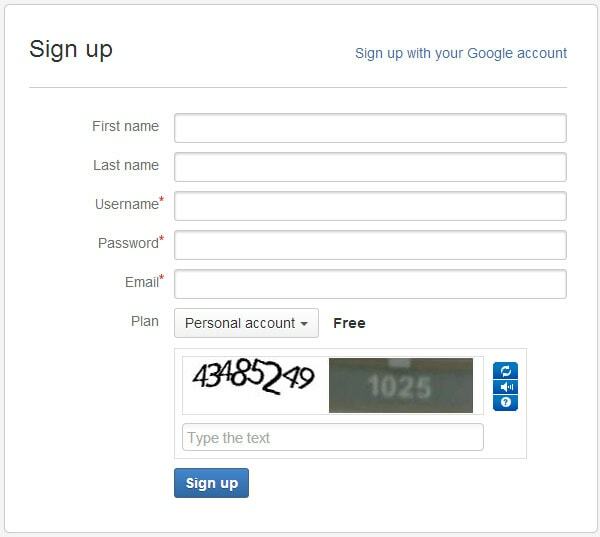 Almost everyone has gone through this – a registration form that requires you to type an email or password twice. Historically, this was designed to prevent mistyping errors. Have you ever typed your email or password wrong during registration process? Have you ever NOT copy-pasted the necessary field whenever the webpage allowed? 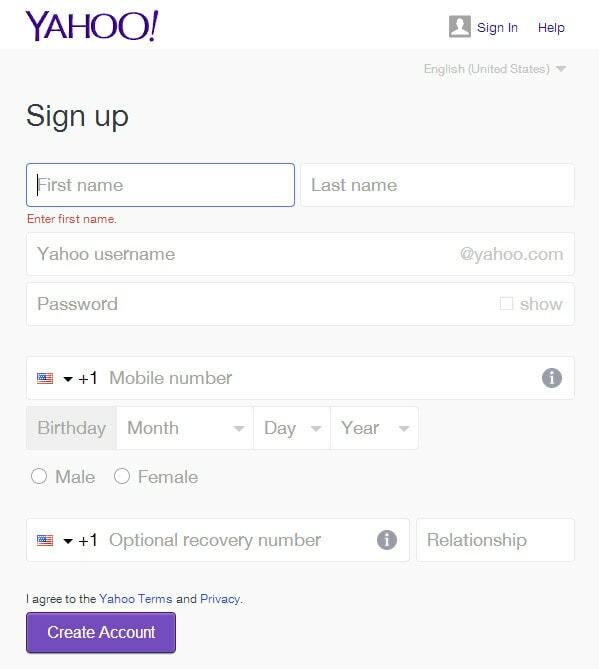 Well, even if there is a typo in the registration form the user can still recover using email. The user may spend extra time recovering his or her account, but it’s definitely not a big deal as opposed to the time we will save for hundreds of users who fill in the form correctly. Here are a few forms that that are spot-on. From a user experience perspective, it is better to have no optional fields, assuming that if a piece of information is not required there’s no point in wasting a user’s time. But for many companies marketing and acquiring customer data is crucial for business success. If there are optional fields in a registration form, make sure to clearly highlight required fields. Usually a small mark like an asterisk (*) is enough. It can be frustrating for users to find out that they have not filled in a required field after submission. Look at how these websites solve this problem. In order to start using most digital products and services we are often required to confirm an account via link sent by email. Why? How does my email contribute to delivering the service? These are questions that may not enter the minds of users, but they should bother YOU as a UX designer. Why not let the user look around the site upon registration? If some features really need to use email, disable those and design a simple reminder for the user to confirm an email address later. It is better to deliver a limited working service immediately than nothing at all. This will help create a good first impression. By requiring email confirmation, you are forcing a new user to leave your website, which may cause some traffic loss. 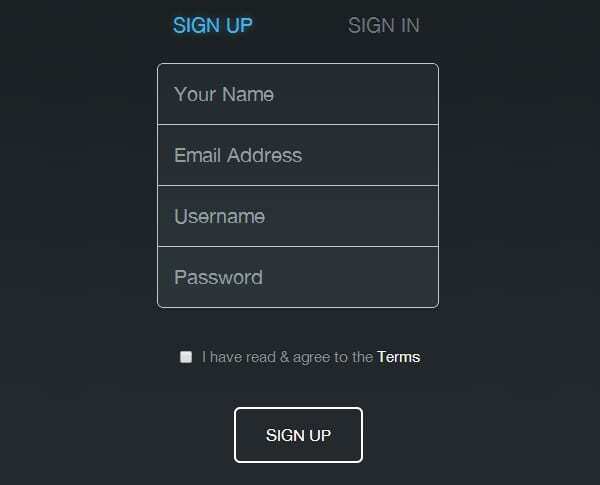 Another common issue with registration UX is requiring users to sign in immediately after registration. The same problem occurs with many email confirmation links. Is this for security purposes? Users commonly write down passwords only to forget them later and recover by email. In many instances, this extra step only frustrates the user. Design the UX so that new users stay signed in immediately after registration, making the overall user experience smoother. Nothing personal, but this is what you want to avoid. Dropbox does a great job with its registration process. 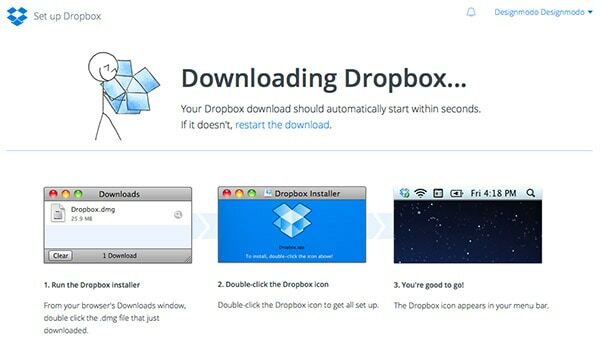 After creating an account, you are redirected to Dropbox’s installation assistant. “For security reasons your password must be longer than 8 and shorter than 12 characters, contain at least one capital letter, a number and a symbol.” This is a typical password requirement, but the length of the password doesn’t guarantee security. A five symbol password can be as strong as A#c2d, while an eight symbol one can be as simple as just a “password.” Demanding users to consider all of the field requirements and think of a new and memorable password isn’t how a host would welcome a guest, right? Show users the proper input format to save time and reduce guesswork. Go the extra step by providing more user-friendly and descriptive error messages as well. Notifications like “You must fill out all of the required fields” are not helpful when users don’t know exactly which field was incorrect. A great solution for this problem is real-time data validation. This alerts users to mistakes right away and if performed on the client-side can even reduce the amount of work for your servers. 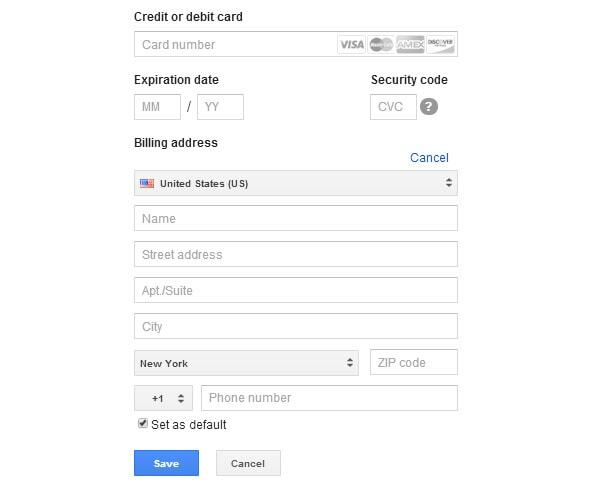 Google does a great job of this when adding a credit card to Google Wallet, as does Skype. Indeed, registration forms can either boost or dump your website conversion. Very good points, need to consider them for my online shop. Absolutely essential and useful tips. Thanks for a great post! Awesome article & great points & tips. Thanks. If you skip the step where you need to go to your email to verify a service, all you need is to know someone’s email address to sign them up. This can lead to people signing up others as pranks or spam. You can really easily overwhelm someone with real emails that are spam to them by signing them up for a few services. If you have to verify bu email, than someone needs your password to pull this off. From an initial UX standpoint, your right, but for potential of problems your not. Agree! Websites that require higher security than well, social network, send you along, but they do not allow you to get too far inside the application until you have activated your account. This way, if you entered the wrong email, you can rectify by creating a new account, or changing email. 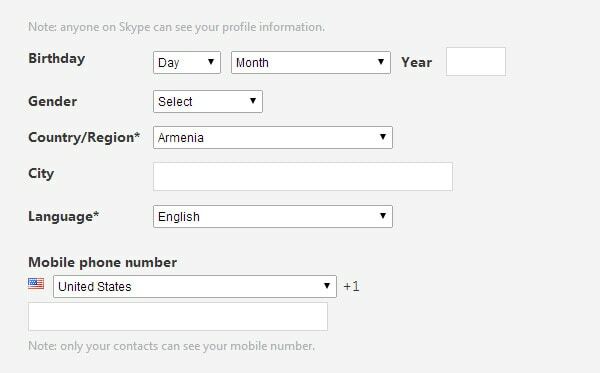 Reason is, there must be a way to contact customer beyond doubt (and not everyone likes to enter their mobile numbers). For social stuff and entertainment, however, it really does not make much sense. Add to this, regarding signing someone in immediately, some security certificates require that you make the user enter their credentials again upon registration, I don’t know why though. Totally wrong about the duplicated fields. Emails and passwords are purely essential credentials for user accounts. The user needs to make sure he typed the right info from the start. 1. Type that email wrong. You’re out. Need to go back and create another account. 2. Type your password wrong. Good, you can recover it. I want to know how could it take less time to hit that recover link, go to your mail, hit that reset link, type another password, rather than typing a pass twice. Oh, by the way, what if you type your password wrong again? Feels like a 3-lap race. I prefer typing just once, but if password i prefer that they have the option to show/hide my password. typing in a password just once and then don’t have that option to see what you typed is i think what’s wrong and would lead to many mistakes. for email, well. i always look at where i type so if i made a mistake i can spot it right away. As a UX designer you shouldn’t care about what YOU do or YOU prefer, it’s all about what the USERS want and what’s best for them, not for you. As mobile traffic keeps on boosting, I do think typing your password twice is more important than ever before. Who can type a 10-letterword (let’s assume that as a safe password) let’s say 5 times in a row without any error on a mobile device? Yep, exactly, almost nobody. Of course you and I can, but we’re not the regular user. 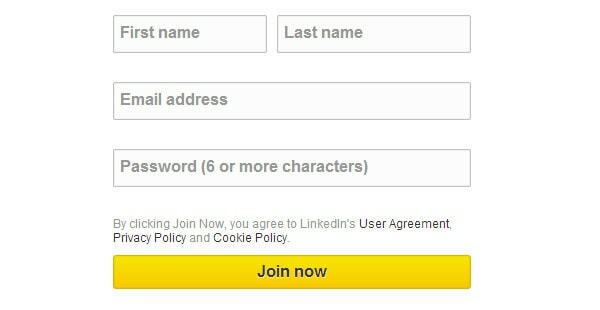 Not having to log in again after you signed up and not having to type your e-mail twice is the worst combination ever. What if you’ve typed your e-mail wrong, have set-up everything, even started using the product, and then want to log in again after a few days? Oh boy, that would kill your product. I think the point was, the large majority will type it right initially…so why design for the edge cases? I think that a “large majority will type it right” is an assumption. Also, the pain of having to type your email or password twice versus the pain of having to reset your password if it is wrong after typing once is much greater. Even if it’s only 10% of people that type it wrong, that’s not an insignificant number. Over all pretty solid points I think. However the comments so far have made some valid criticisms as well. There’s a few considerations I’d like to offer in response to/with them. @Brian You have a very valid point. However, reading the article over again I believe the main point to be made was that the email authentication should not be required to begin using the account that has been registered as it forces a user to stop their interaction with the site in order to validate. But I definitely agree with you that validation is a useful tool to ensure bogus emails aren’t being rammed down some poor sod’s throat. @Cosmin I agree with you for the most part. However at least as far as the email field goes, it’s not hidden, so there’s really no reason to double up on it. The user is responsible for entering their login credentials, and it literally takes less than a second to read the entered address (unless the user has an asinine email address thats 20+chars long) and verify it’s correct. However since the password field is almost always ******’d out I say you’re right, that doubling up on the field is a solid practice EXCEPT when your verification process is set up to email a user their login info. Of course one still could make the argument that if the email isn’t right then the point is moot, but at that junction it’s really the user who can’t be arsed to double check their typing that is affected rather than the tens/hundreds/thousands of users who can and do. It is not a good experience to recover passwords every time. Though almost every website I have ever registered requires me to confirm my password, I’ve forgotten passwords to quite a few of them and would have to recover using my email address. Wonder if anyone else noticed that “Sing in” under Keep users signed in when they register? Agree with everything except for not requiring email authentication. It’s not just about spam, it’s about email marketing you probably want to do. Email marketing services do not like emails that are not confirmed by users. That’s poor sending reputation straight away. If a user registers on your site, he assumes there will be email authentication, it’s nothing unusual. But once you let him use your service, there’s no motivation to confirm that double opt in link later. It’s a fact. So unless clean email database is not important to you, then go ahead, follow this tip. Interesting article. Regarding highlighting required fields: I wonder if it is best to leave out anything that isn’t required? If it isn’t required, is it necessary? In Address forms for instance, sometimes you have to add complements like apartment numbers, but not everyone lives in apartment, so those complements are optional for everyone but necessary for some users. You can’t take it out. The title of this post should be “5 UX Tips for Designing More Usable Registration Forms, if you don’t care about security, validation nightmares, or the content on your site is so pithy that none of these things really matter”. I am not trolling but as other users have already pointed out, confirming a password is a simple way to ensure the user doesn’t mistype. With so many forms to fill out these days it is very easy to mistype a password which would then trigger the password reset process that is certainly more annoying to the user than had they just confirmed their password in the first place. Not requiring an email confirmation before logging in to a site is just plain stupid. You are asking for trouble doing this. The only case I could see this being useful is if the content behind your registration area is so meaningless that you don’t care that someone hijacks your legit users email accounts. There are many useful techniques the author lays out in this article. However, I would be very cautious about sacrificing security for ease of use. It’s a balancing act for sure but always tip to the security side. i absolutely disagree with that Point “Don’t make users confirm via email before using the service”. a double-opt-in is kind of a juristic legal matters. do a website without double-opt-in in Germany for example and u can shut down your website! It would be great to just take an email address and a password and automatically sign them in… I’m amazed at the amount of posts on “well designed registration forms” I’ve read do not address security and data quality concerns, it’s poor advice. Some interesting suggestions, thanks. I completely disagree with the “Don’t make users confirm via email before using the service.” This feature avoids spammers using my email account to register on some unknown website. The confirms help enforce only real users.